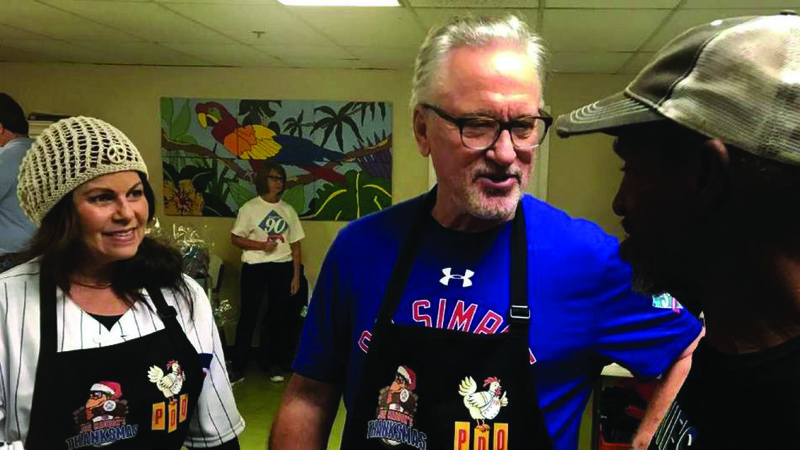 ST. PETERSBURG — The first time Joe Maddon walked into the St. Vincent de Paul center, he left hurt. It was 2006, after his initial season managing the then-Devil Rays. 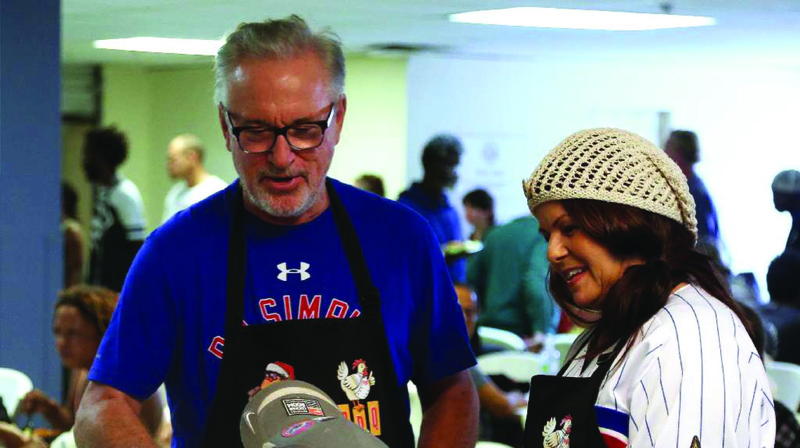 Maddon was launching a program he called “Thanksmas” to serve a meal to the homeless and raise awareness to the issue specifically between the holidays. In the disorganization of trying to cook and serve and host, he spilled a pot of boiling water on his feet and had to be treated for burns by the team medical staff at Tropicana Field. Maddon walked back in Monday for the 10th Tampa Bay installment of the program, which was reinstated in 2017 after a three-year hiatus following his departure from the Rays in October 2014 and hiring by the Cubs. 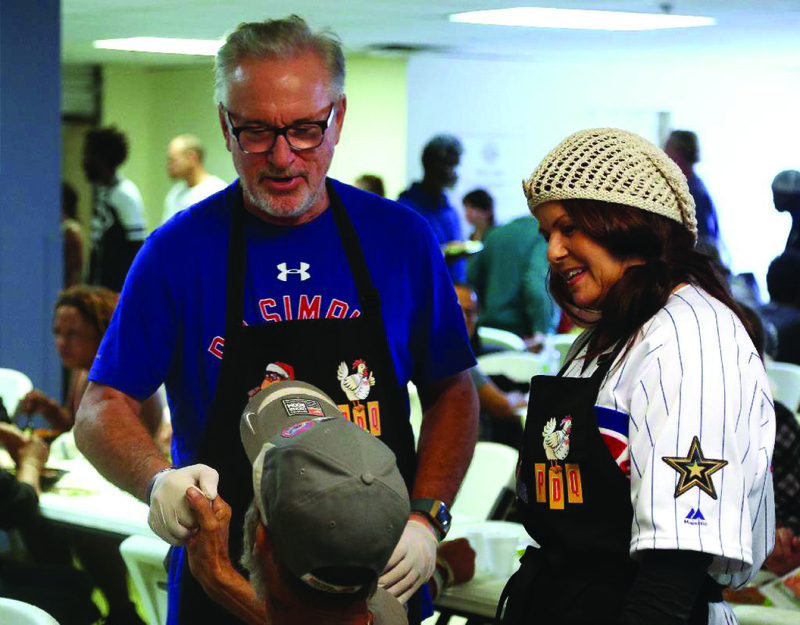 Eager to see the staff and pleased to be helping the 100-plus people lined up for the PDQ-provided meal, Maddon felt pained as the magnitude of the homeless issue struck him again. “Walking in here this time really made as strong of an impression as any (event) has had over the last couple of years,” Maddon said. “(Thanksmas) has grown annually, but I don’t think my mind has grown annually with it. In other words, I’ve failed to really realize or understand sometimes how important it is. “Even to the point that you are writing about it or that the TV folks are asking about it. You know what that does? It leads to donations. It leads to people becoming more aware. And it’s not just seasonal awareness, not just holiday awareness that’s necessary. It’s daily awareness that is necessary to really make these places function and possibly get to the level of success that they’re looking for – getting people out of the building, employed, jobs, their own homes, etc. Center director John Mafodda said Maddon’s involvement and sincerity are a huge help. Maddon, accompanied by wife Jaye, showed that in working the room Monday, talking to most, if not all, of the men and women who came through the line, shaking hands, signing autographs if they asked, making sure they also grabbed a pair of socks that his Respect 90 Foundation provided. He will do the same Wednesday at a Tampa Salvation Army center, and hold similar events in his hometown of Hazleton, Pa., and Chicago. “When we first started doing this people asked me why are you getting involved in that – these are a bunch of people that don’t want to work, they’re lazy, they want something for nothing, that’s all that was said,” he said. “The concept was always the single male who was down on his luck, hanging out on the street corner panhandling. All these negative adjectives applied to him. That was the public perception.